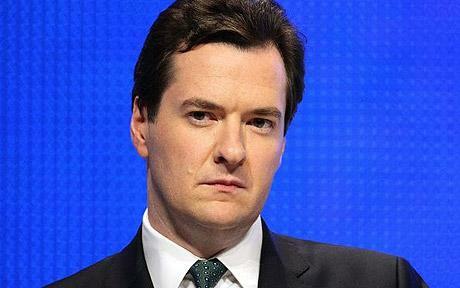 Chancellor of the Exchequer, George Osborne, laid out the Government’s Comprehensive Spending Review recently. It was a strong performance, fuelled by a managerial competence for the brief. We think it was predominately sound fiscal re-ordering, and will hopefully result in a tightening of the improved credit rating that the UK was already starting to benefit from. There were some interesting points: the fact that the DCMS (Department for Culture Media and Sport) has a budget reduced to £1.1Bn, questions whether it is viable as a separate budget holding Department of State. Also, small points emerge that can have significant effects on individuals: for instance, no longer will a single person below the age of 35 be able to claim housing benefit whilst living alone; they will be forced to share. Social engineering is no doubt a by product of this Spending Review, but nevertheless it does indicate a determination to put very firmly back into the hands of the individual, a sense of their own destiny and personal financial responsibility. Importantly, Employment Support Allowance (the replacement for “Incapacity Benefit”) has been reduced to a maximum award of 12 months. This is a serious attempt to manoeuvre those who are able to work, back into the productive workforce.Transport is expecting an increase of £30Bn spending over the next 4 years, though, even at RPI + 3% from 2012, as a fare rise cap for rail fares, we doubt that commuters will be happy with what will in effect be the highest cost per mile of any rail system in Europe. More positively, the M25 is to be widened between 10 junctions (doesn’t yet state which ones), and in London, Crossrail is to proceed. Politically, these cuts are hard fought for, with polls constantly showing the public’s contradictory desire to see both an improvement in the UK deficit, yet unwilling to bear the burden of cuts on their favoured services. These cuts are necessary and vital in restoring both fiscal rectitude and ensuring the country is on more secure footing in its return to growth. Government spending as a proportion of GDP has increased from 38% in 1997, when the Labour Party took power, to 45% in 2010. We feel this is an unsustainable level of public spending commitment.